Moles build a series of tunnels over several levels and a clear understanding of this is needed to have any chance or eradicating them. They can quickly establish themselves and create their complex burrow systems, as they can tunnel at an estimated four metres per hour using their spade-like forepaws. Moles find food (e.g. earthworms) using an advanced sense of smell and touch. They are an obvious problem where clear, flat, grass surfaces are required such as lawns, golf course greens and fairways, formal and domestic gardens, bowling greens, racecourses, cricket pitches and the like. Moles damage young plants and can also be a serious problem for farmers, bringing machine-damaging stones to the surface and damaging young crops by working under their roots. When moles appear, you need to deal with this problem swiftly before a colony becomes established. 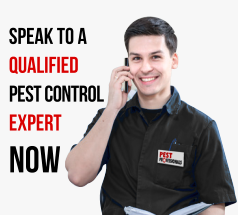 They can be controlled effectively by trapping and fumigation using chemicals only available to professionally qualified pest controllers. Mole catching is considered to be something of an art-form and experience is critical when tackling mole removal. Call now for a free consultation.